The public has recently gained an opportunity for deeper insight into special counsel Robert Mueller’s investigation and the FBI’s probe of Russian interference in the 2016 election. On July 21, the Trump administration released the FBI’s application for a warrant to begin electronic surveillance of former Donald Trump campaign adviser Carter Page. This has renewed the debate on whether the FBI had sufficient grounds for conducting the surveillance. Trump supporters claim the FBI improperly surveilled the Trump campaign. National security experts and political opponents disagree. President Trump used the released documents to argue that the Justice Department and FBI misled the court in order to get permission to spy on his presidential campaign. Meanwhile, the press pointed out that the application, made under provisions of the Foreign Intelligence Surveillance Act, undermines Republican claims that it was rooted in biased information. As an FBI historian, I noticed something else in the FISA application. Beyond their focus on Page, the campaign adviser, the FBI was concerned with what it described as Russian “influence operations” against the United States. Foreign government-led influence operations within the U.S. have happened before. Today’s situation with Russia, however, is quite different from those in the past. First, the nature of the threat today is far more serious. Second, over the last 100 years the FBI’s power has evolved to meet these threats, and it has reliably had White House support which, today, is sometimes absent. Prior to the U.S. entering the First World War in 1917, German agents operated in the country. These German agents were trying both to stop U.S. weapons from reaching the Allies in Europe and attempting to keep the U.S. out of the war. At the same time, the British were trying to convince Americans to join it. German agents sowed discord and encouraged dissent among Irish and Indian communities in the U.S. by suggesting the British were repressing their colonial home countries, and were thus unworthy of American help. They tried to do the same among African-American communities by pointing out how they were mistreated in the U.S. 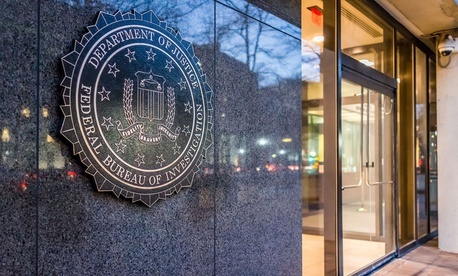 Lacking legal avenues to halt this activity, the recently formed FBI responded by pressuring these various communities to remain loyal to the U.S. In the end, these “intrigues” as the FBI called them did not, in fact, keep the U.S. out of war and they could be characterized as minimal at best. But they happened and illustrate real-life methods foreign powers once used to influence American politics. In World War II, Nazi Germany engaged in various influence operations. Again, its goal was to keep the U.S. out of the war, but this time it found help among American citizens. One such agent was American aviator Laura Ingalls – the first woman to fly nonstop across the Atlantic Ocean. Ingalls later worked as an activist on behalf of the America First Committee, a political group that tried to keep the U.S. out of WWII. She traveled the country during 1941 speaking against U.S. involvement in the war. Paying for these speaking engagements became a problem – America First did not adequately reimburse her travel expenses. Since Ingalls admired Nazi Germany and its alleged “efficiency,” she approached the German embassy in 1941 proposing a goodwill tour there. Nazi intelligence agents used the opportunity to woo her. It worked. To supplement her scant funding, she accepted US$250 a month from the Nazis as well as pro-German propaganda pamphlets from German Embassy officials. Possibly unbeknownst to Ingalls, this exchange violated the 1938 Foreign Agents Registration Act, which required anyone working for a foreign power to register with the federal government. Through its routine surveillance of the German Embassy, the FBI learned of this and investigated Ingalls as a threat to national defense. At the time, wiretapping was illegal but President Franklin Roosevelt secretly authorized its use anyway. The FBI wiretapped Ingalls and searched her home without a warrant to determine the extent of her collaboration with the Nazis. Information from both sources were not admissible in court, but there was sufficient evidence otherwise to successfully prosecute her in 1942. She served 20 months in prison. Around the same time, Nazi Germany was running another influence operation in the U.S. through an agent named George Viereck. Born in Germany, Viereck was a naturalized U.S. citizen who was also registered as a German foreign agent. After 1940, Viereck had taken a job working for New York Republican Congressman Hamilton Fish. Viereck manipulated the congressman’s resources to widely – and secretly – distribute anti-interventionist, America First literature that advocated staying out of the war. When the FBI eventually discovered the scheme, Viereck was prosecuted under FARA for not fully disclosing his activities. Congressman Fish was subpoenaed to testify, and he revealed his ignorance about all of it. As influence operations go, both the Ingalls and Viereck cases were relatively low-key operations. They were not nearly extensive enough to keep the country out of war, as Nazi Germany had hoped. But they happened nevertheless and are early examples of foreign influence operations replayed on a significantly larger scale in 2016. Today, Russia’s efforts are far more sophisticated in design and execution. They are also linked to high-profile figures – senior Trump campaign and administration officials like Paul Manafort, Carter Page, Michael Flynn and others – and possibly the president himself. The other major difference lies with the power and authority of the FBI. During WWII, the FBI established wiretaps using its own unchecked authority, and engaged in other unethical and illegal activities with no meaningful oversight whatsoever. The FBI of the past also engaged widely in political surveillance and shared the fruits of those operations with presidents. This aspect of the FBI’s history is widely known, and it may be why distrust of the agency resonates among Trump supporters. Today’s FBI may still have problems, but it is substantively different from the historical FBI in how it conducts national security investigations. The bureau is required to operate within the confines of the Foreign Intelligence Surveillance Act, which was passed by Congress in 1978 to prevent political surveillance abuses. FISA requires intelligence agencies to obtain warrants – signed off by the FBI, Justice Department and the courts – before they can use wiretaps in national security cases involving American citizens. Unlike in the past, FBI investigations must also conform to Justice Department guidelines to avoid crossing into partisan politics. That foreign governments want to influence things within our country is not surprising nor new. What is, however, is the highly sophisticated nature of those efforts as compared with the past, and the depth of penetration the Russians have enjoyed. American intelligence agencies have the capability to deal with this. They must, however, work in a much more complex governmental and political system today than before that, perhaps, makes their efforts all the more difficult.